The Atmel Certified-ID security platform prevents unauthorized reconfiguration of an edge node to access protected resources on the network. Atmel has announced a comprehensive security platform that enables businesses of all sizes to assign certified and trusted identities to devices joining the secure Internet of Things. The Atmel Certified-ID security platform prevents unauthorized reconfiguration of an edge node to access protected resources on the network. 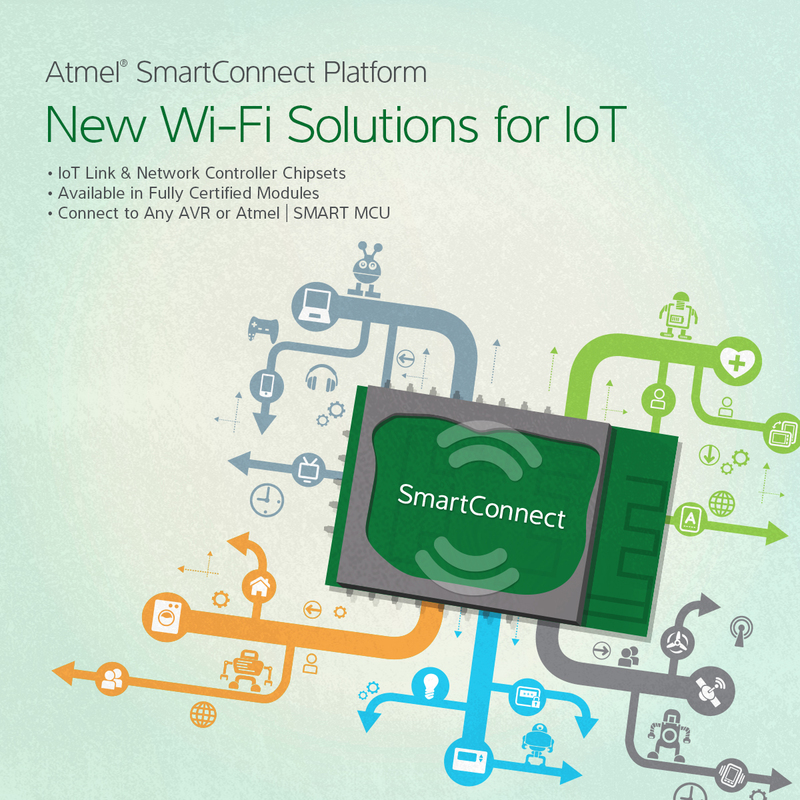 This new platform is available on the Atmel SmartConnect Wi-Fi, Bluetooth, Bluetooth Smart and ZigBee solutions that connect directly to Atmel Cloud Partners, providing a secure turnkey solution for IoT edge node-to-cloud connection. The Atmel Certified-ID platform delivers a distributed key provisioning solution, leveraging internal key generation capabilities of the ATECC508A CryptoAuthentication device, without invoking large scale infrastructure and logistics costs. This platform even allows developers to create certified and trusted identities to any device before joining an IoT network. By utilizing the unique internal key generation capabilities of ATECC508A device, the recently-unveiled platform enables decentralized secure key generation, making way for distributed IoT device provisioning regardless of scale. This method eliminates the upfront costs of the provisioning infrastructure which can pose a significant barrier in deploying devices in smaller scales. On top of that, developers will be able to create secure IoT devices compatible with partner cloud services and to securely join ecosystems. Atmel is currently working with several cloud service companies, including Proximetry and Exosite, on the Certified-ID platform. These collaborations will give developers a wide range of ecosystem partners to choose from for a secure connection between the edge nodes and the IoT. Other partners will be announced as they are integrated in the Certified-ID platform. Atmel now offers security provisioning tool kits to enable independent provisioning for pilot programs or production runs when used in conjunction with the ATECC508A ICs. These devices are pre-provisioned with internally generated unique keys, associated certificates, and certification-ready authentication once it is connected to an IoT ecosystem. Developers will need two kits to securely provision their gadgets: the AT88CKECCROOT tool kit, a ‘master template’ that creates and manages certificate root of trust in any ecosystem, and the AT88CKECCSIGNER tool kit, a production kit that enables partners to provision IoT devices. The AT88CKECCSIGNER kit lets designers and manufacturers generate tamper-resistant keys and security certifications requiring hardware security in their IoT applications. These keys provide the level of trust demanded by network operators and allows system design houses to provision prototypes in-house—saving designers overall investment costs. Ready for the Internet of Trusted Things? Both the Atmel AT88CKECCROOT and AT88CKECCSIGNER are available today. This entry was posted in Product News, Security and tagged AT88CKECCROOT, AT88CKECCSIGNER, ATECC508A, Atmel Certified-ID Platform, Bluetooth Smart, cloud, CryptoAuthentication, IoT Security, Secure Internet of Things, Secure IoT Applications, Security, SmartConnect, Wi-Fi, ZigBee on November 9, 2015 by The Atmel Team. IC and system simulation tools are enabling a power-efficient, cost-optimized and reliable Internet of Things ecosystem. Atmel is currently using engineering simulation solutions from ANSYS to model, analyze and optimize our broad Internet of Things (IoT) product portfolio from scalable embedded MCUs and MPUs to wireless connectivity gateways. Power consumption, data security and communication standards compliance are critical design requirements for connected applications. Striking an optimal balance among such concerns as power efficiency, antenna integration performance, security and cost is a key design challenge faced by engineers developing devices that are paving the way for the proliferation of IoT. The industry-leading SmartConnect WINC1500 lEEE 802.11 b/g/n IoT network controller SoC along with the latest family of Atmel | SMART ARM Cortex-M0+ MCUs deliver extreme low-power, compact size and comprehensive connectivity. The Atmel design team leveraged ANSYS HFSS, ANSYS RedHawk and ANSYS Totem to design and validate these complex SoCs and platforms used across multiple IoT application segments. ANSYS simulation solutions help enable the company to meet stringent power/performance requirements, ensure reliable operations across a wide-range of frequencies and deliver products with tight time-to-market constraints. For those unfamiliar with ANSYS, the Pittsburgh-based company provides clarity and insight to customers’ most complex design challenges through fast, accurate and reliable engineering simulation. Their technology allow organizations, spanning across a number of industries, to predict with confidence that their products will thrive in the real world. “IoT is creating tremendous growth opportunities for the entire electronics ecosystem, from semiconductor manufacturing to systems integration to applications development. ANSYS is excited to be a partner to the Atmel design teams as they develop innovative technologies that fuel machine-to-machine communication and the industrial Internet,” added Aveek Sarkar, ANSYS Vice President. Interested in learning more? Read the entire ANSYS announcement here. Otherwise, browse through Atmel’s extensive lineup of IoT solutions that are enabling a smarter, more secure connected world. 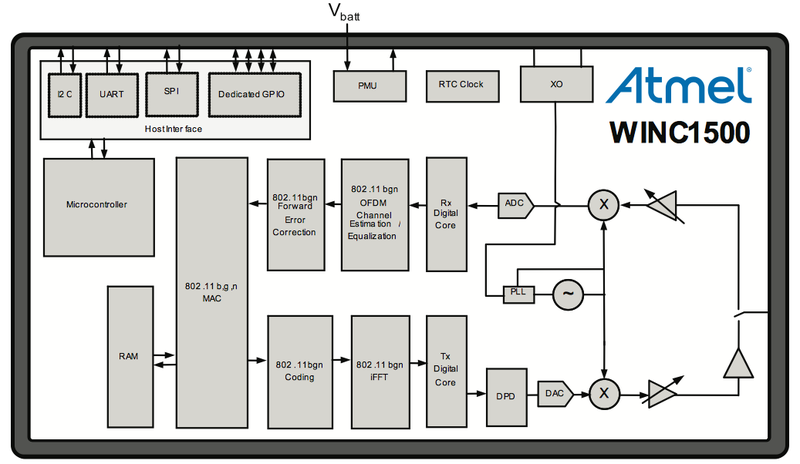 This entry was posted in IoT, Product News and tagged ANSYS, ARM Cortex-M0+ Microcontroller, Atmel | SMART, ATWINC1500, Internet of Things, IoT, SmartConnect, WINC1500 on March 10, 2015 by The Atmel Team. Demonstrations to showcase Atmel | SMART and Atmel AVR MCUs and MPUs highlighted in a variety of technology zones. In a matter of days, Atmel will be showcasing a number of smart and securely connected solutions that will power next-generation Internet of Things (IoT) applications at Embedded World 2015 held in Nuremberg, Germany, February 24-27. These demos will be available in the company’s booth located in Hall 4A / Booth 4-230. To better illustrate Atmel’s broad portfolio of IoT solutions, the demonstrations will be highlighted in several technology zones. AUTOMOTIVE: As a leader in local interconnect networking (LIN) and automotive touch, Atmel is enabling smart, connected vehicles. 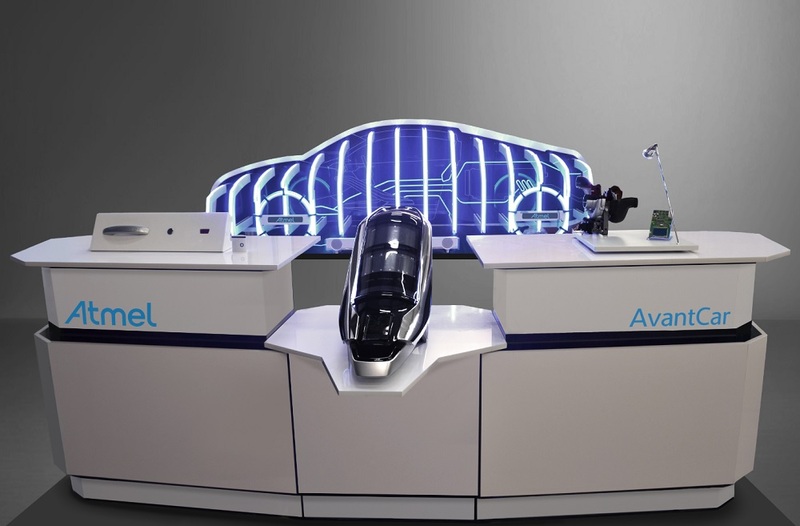 Atmel’s automotive technology pod will showcase the company’s broad automotive product portfolio for car access systems, networking, drivers, Ethernet Audio/Video Bridging (AVB), and the future of human machine interface (HMI) in next-generation center consoles. By popular demand, Atmel will also be showcasing its next-generation AvantCar concept demo, a host of passive entry car access solutions using Atmel’s latest and highly secure products, including AES encryption 125kHz LF and and RF technologies, along with its popular maXTouch and QTouch capacitive touch solutions. The Atmel | SMART SAM V71 ARM Cortex-M7-based MCU will also be highlighted in an automotive application to deliver the world’s highest performance Cortex-M-based Flash MCU, along with an automotive touch application powered by Atmel’s recently launched Touch Controller solution. And, a demonstration running Audioweaver from DSPConcepts showcasing the SAM V71 ARM Cortex-M7 processor-based MCU will also be exhibited in this zone. INDUSTRIAL: Atmel provides leading-edge MCU- and MPU-based solutions for the smart, industrial market. In the industrial technology pod, Atmel will showcase a variety of smart, secure and connected solutions for the industrial market powered by Atmel | SMART solutions including an Ultra home automation and smart fridge application running on the SAMA5D4 Xplained, and Atmel | SMART ARM Cortex-A5 processor-based boards displaying HDMI video. Other industrial applications on display include a power supply temperature monitoring and cooling using an Atmel temperature sensor and an treadmill application featuring an Atmel | SMART SAMA5D4. SMART LIVING: As a leading provider of smart and securely connected solutions, this technology zone showcases next-generation applications of modern living. Highlighting the latest innovations for your living room, the Smart Living technology zone will highlight a number of applications ranging from a low-power Bluetooth beacon to a digital temperature sensor, a ZigBee-based smart lighting with cryptographic security (ATSHA204), and a secure IoT camera system featuring Atmel’s newly announced elliptic curve network security chip, the ATECC508A. See Atmel’s recently launched SIGFOX IoT solution, powered by Atmel’s ATA8520, communicating to the cloud while transmitting metering values, alarm signals and more. The company will also be showcasing the Atmel SmartConnect family, leveraging ultra-low power secure, wireless connectivity. A number of applications will be demoed including a weight scale, door bell with camera, Wi-Fi connected speaker, motion sensors on the window, smart plug, light bulb and gateway connected via ZigBee technologies—all controllable through a smart, mobile device. 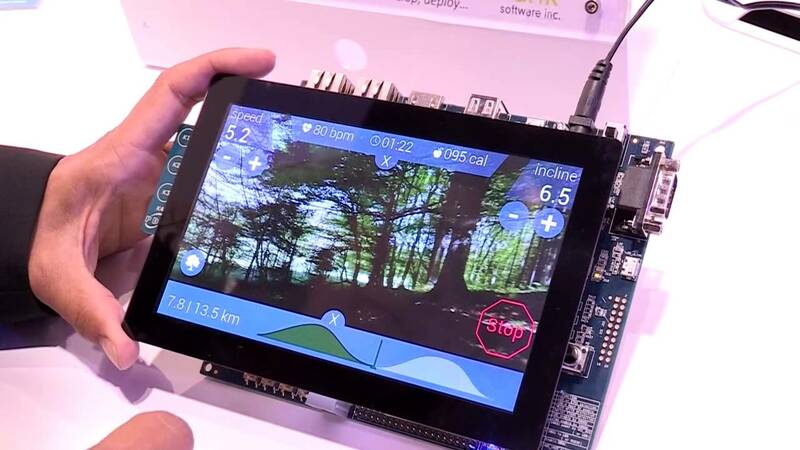 A QTouch-based water level sensing application showcasing advanced HMI and sensing capability will also be exhibited, along with a display demonstrating the world’s lowest power capacitive touch surface. Other demonstrations powered by Atmel’s maXTouch technologies and Atmel AVR MCU solutions showcasing ultra-low power smart, connected devices will be available in this zone. CLOUD PARTNERS: Highlighting cloud platform partner solutions. IoT requires a system-level solution encompassing the whole system, from the smallest edge/sensing node devices to the cloud. The company has partnered with best-in-class cloud partners that can support a variety of applications for both Tier-1 OEMs and smaller companies. Atmel has integrated the partners’ technology into the company’s cloud solutions framework adding the cloud platform functionality seamlessly to all of Atmel’s wireless MCU offerings, regardless of standards or transport technology. Come meet some of the cloud platform partner solutions from companies like PubNub, Proximetry and Arrayent that are available on Atmel wireless MCUs today. POWERED BY ATMEL. Showcasing the latest gadgets and devices powered by Atmel technologies. Highlighting the latest smartphones, tablets and wearables available today, everything from a wireless drive and narrative life logging camera to record your every step, to fitness bands, to Atmel’s latest MCU and touch technologies, will be on display. See ‘wear’ the market is headed next! 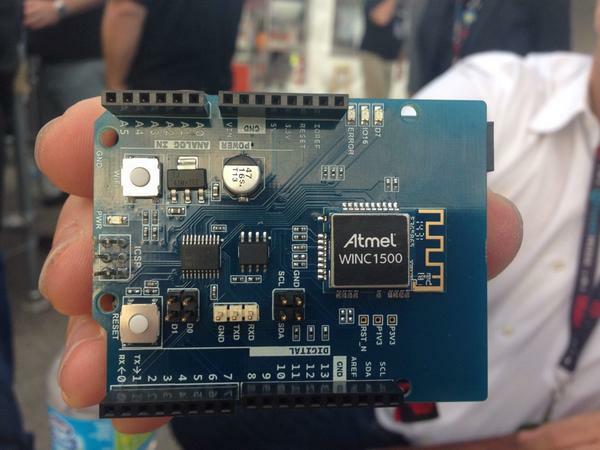 MAKERS: From Maker space to market place, this technology pod highlights Atmel enabling unlimited possibilities. The Maker space showcases the well-received Arduino Wi-Fi Shield which enables rapid prototyping of Internet of Things (IoT) applications on the Arduino platform, and will be featured to highlight its simplicity for the professional and Maker communities. The company will also display a number of Maker demonstrations including a remote-controlled Maker Robot powered by the Atmel | SMART SAM D21 will be displayed. “Mr. 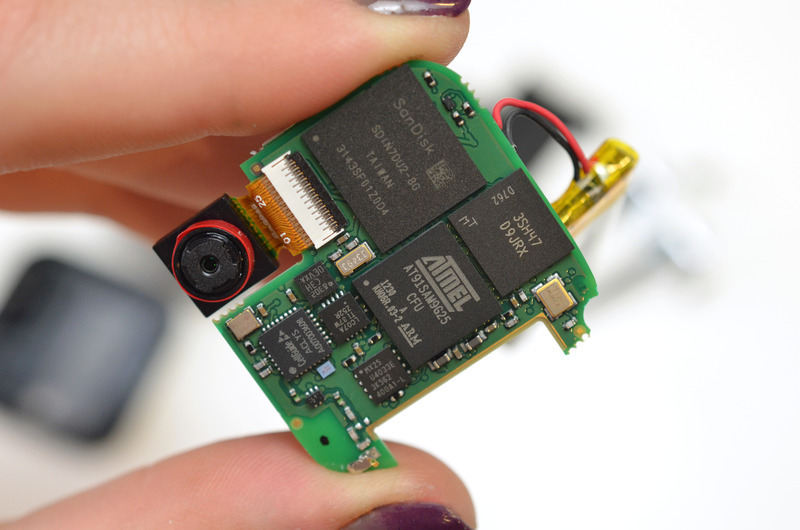 Abot” is controlled through an Android app and the communications driven through Atmel’s recently announced WINC1500 Wi-Fi solution. Additionally, Atmel’s resident security expert Kerry Maletsky will be presenting “Making IoT a Reality – Leveraging Hardware Security Devices” on February 25 from 12-12:30 pm CET (Session 09/I). 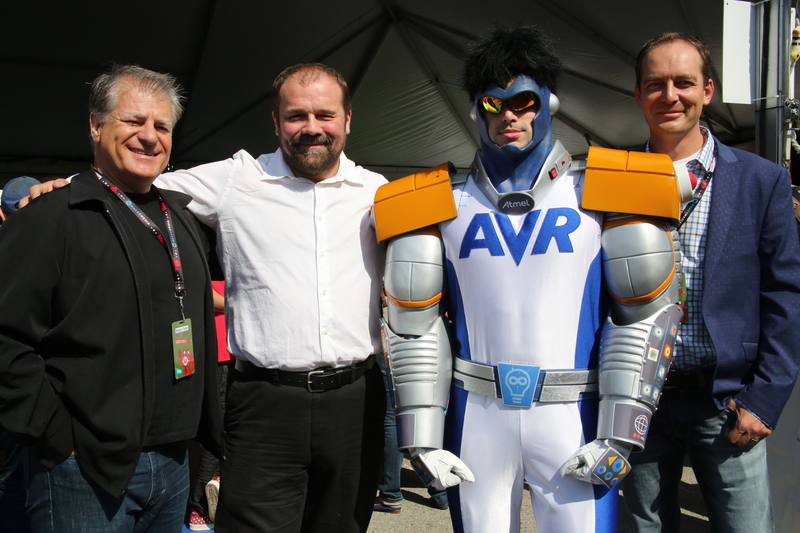 And for those of you waiting to see the one-and-only AVR Man, you’re in luck. The embedded community’s favorite superhero will be in attendance! This entry was posted in Events and tagged 32-bit ARM Cortex-M7 MCU, Arduino, Arduino Wi-Fi Shield, ARM-Based Microcontrollers, Atmel | SMART, Atmel | SMART SAM D21, Atmel | SMART SAM V71, Atmel | SMART SAMA5D4, AvantCar, AVR, AVR microcontrollers, BLE, Bluetooth, cloud, CryptoAuthentication, Embedded World, Embedded World 2015, Internet of Things, IoT, Makers, Proximetry, Pubnub, SAMA5D4, SmartConnect, Wi-Fi, WINC1500, wireless, wireless solutions on February 20, 2015 by The Atmel Team. Atmel is joining forces with ARM on the mbed device platform for the ever-growing Internet of Things (IoT). This partnership broadens the ecosystem support for developers using Atmel’s portfolio of secure, low-power and cost-effective wireless connectivity solutions, specifically the Atmel SmartConnect Wi-Fi and 802.15.4-compliant solutions. Additionally, IoT developers for smart wearables, connected appliances, home automation systems and more can now bring their products faster to market. Built around open standards, the mbed platform combines Internet protocols, security and standards-based manageability into one integrated system, and gathers silicon, cloud and device partners in one community. 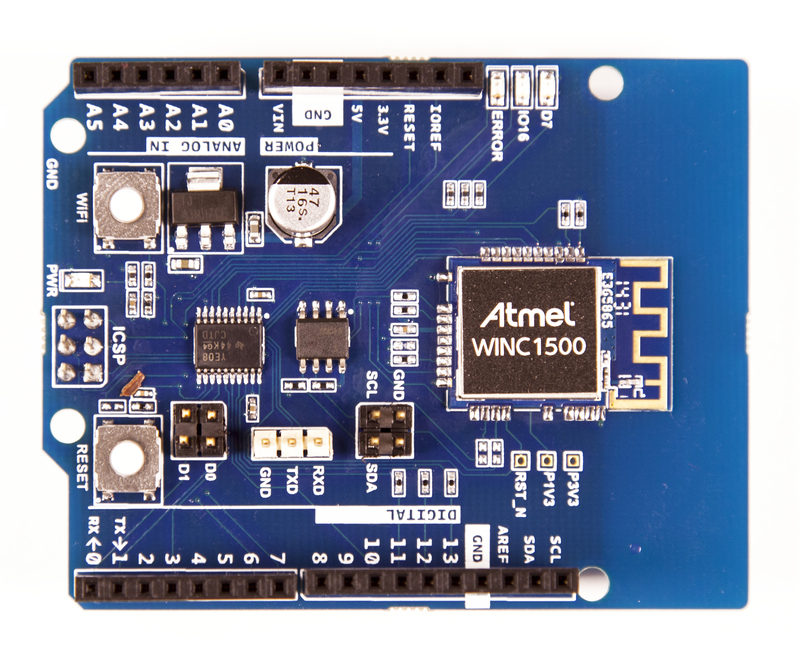 Atmel | SMART SAMR21 and WINC1500 customers now gain access to the mbed OS software platform, which includes command-line tools, a low-power HAL, as well as advanced networking protocols like 6LoWPAN and Thread to significantly accelerate IoT development. Those interested in learning more about the ARM mbed platform can head over to its official page here. This entry was posted in Design Trends, IoT, Product News and tagged ARM, Atmel, Atmel SmartConnect, Atmel | SMART, Atmel | SMART SAMR21, Internet of Things, IoT, mbed, mbed Development Platform, SmartConnect, tag4, WINC1500, wireless, wireless connectivity on October 1, 2014 by The Atmel Team. Atmel has expanded its leading SmartConnect wireless portfolio with four new turnkey system-on-chips (SoCs): the WILC1000 and WINC1500. Each SoC extends the company’s already broad portfolio of wireless connectivity options with the latest 802.11b/g/n Wi-Fi capability, seamlessly integrating Newport Media’s (NMI) solutions in just two months. Both wireless solutions are compatible with existing Atmel microcontroller solutions and can connect to all Atmel AVR or Atmel | SMART MCUs. The new WINC1500 is an IEEE 802.11b/g/n IoT network controller, while the WILC1000 is an IEEE 802.11b/g/n IoT link controller. Expanding on Atmel’s Wi-Fi offering, the WILC1000 and WINC1500 are SoC solutions optimized for battery-powered IoT applications. These wireless SoCs feature fully-integrated power amplifiers for the industry’s best communication range, without compromising cost or performance. Both the WILC1000 and WINC1500 are add-on solutions which can connect to any Atmel MCU or eMPU targeting a wide range of Internet of Things (IoT), consumer and industrial applications. Both products are available either as fully-certified modules ready for production to accelerate a designer’s time-to-market or as discrete SoCs for customers requiring the highest design flexibility. Atmel’s SmartConnect family can be connected to any ultra-low power MCUs or eMPUs and wireless connectivity solutions into an easy, turnkey IoT solution. SmartConnect enables Wi-Fi Internet connectivity using ultra-low power for IoT edge/sensing nodes markets, therefore reducing overall bill of materials. In addition, the latest solutions accelerate development time for cost-effective, battery-operated applications in the residential, healthcare, industrial, smart energy and wearable markets. 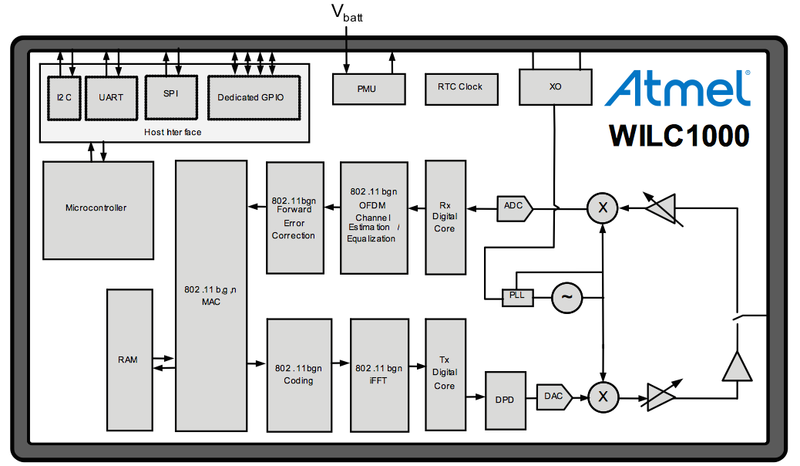 The WILC1000 and WINC1500 provide multiple peripheral interfaces such as UART, SPI, SDIO and I2C. The only external clock source needed is a high-speed crystal or oscillator with a wide variety of reference clock frequencies supported (between 12 – 50 MHz) and are IEEE 802.11 b/g/n, RF, Baseband, MAC certified. Interested in the newest members of the SmartConnect family? The WILC1000 and WINC1500 are both now available — WILC1000 as a chip and three different modules; the WINC1500 as a chip and a module, with an evaluation kit featuring Atmel’s SAM D21 MCU. This entry was posted in IoT, Product News and tagged 802.11b/g/n Wi-Fi, 802.11b/g/n Wi-Fi Modules, 802.11b/g/n Wi-Fi SoC, Atmel SmartConenct, IEEE 802.11 b/g/n, Internet of Things, IoT, Newport Media, NMI, SmartConnect, SoCs, system on chips, Wi-Fi, WILC1000, WINC1500, wireless on September 22, 2014 by The Atmel Team. Following an exciting two days of MakerCon and on the eve of Maker Faire, the team of Atmel and Arduino have announced the launch of the Arduino Wi-Fi Shield 101, a shield that enables rapid prototyping of Internet of Things (IoT) applications on the highly-popular open-source platform. The cost-effective, secure Arduino Wi-Fi Shield 101 is an easy-to-use extension that can seamlessly be connected to any Arduino board enabling high-performance Wi-Fi connectivity. This new shield gives the design community more opportunities to securely connect IoT applications, ranging from consumer goods to wearables, robotics, high-tech devices and more. 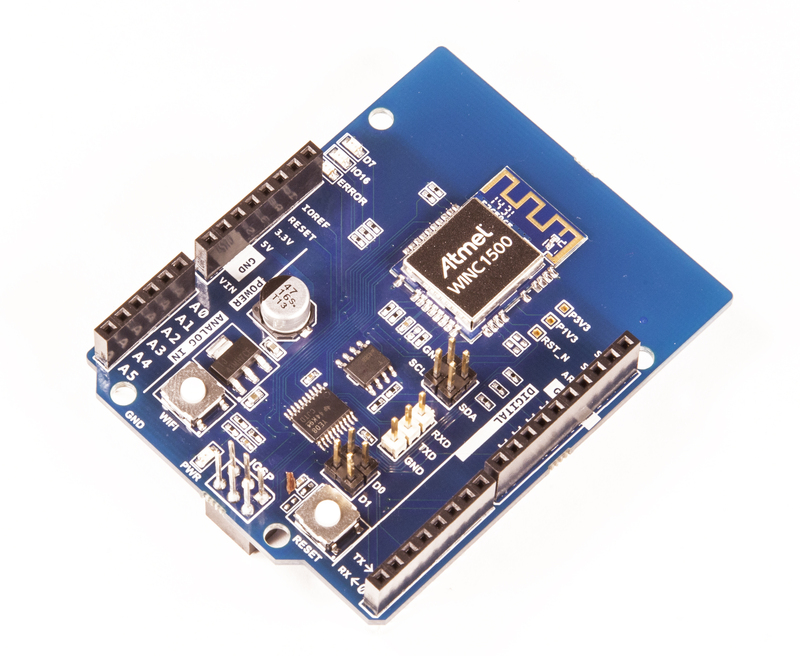 The Arduino Wi-Fi Shield 101 is powered by Atmel’s wireless network controller, part of the Atmel SmartConnect family, and also includes the CryptoAuthentication device which allows users to easily incorporate hardware authentication capability in their design. Makers can connect the Arduino Wi-Fi Shield 101 to any modern Arduino R3 board, enabling connectivity to the Internet using any traditional Wi-Fi access points. It is based on the WINC1500 802.11b/g/n network controller which features an integrated TCP/IP stack, TLS security and SoftAP for seamless provisioning. It also features an Atmel authentication security device that can be used for keys, passwords or secret data. In true Arduino fashion, every element of the platform – hardware, software and documentation – is freely available and open-source. This offers the Maker community to discover exactly how it’s made and then to utilize its design as the starting point for their own circuits. 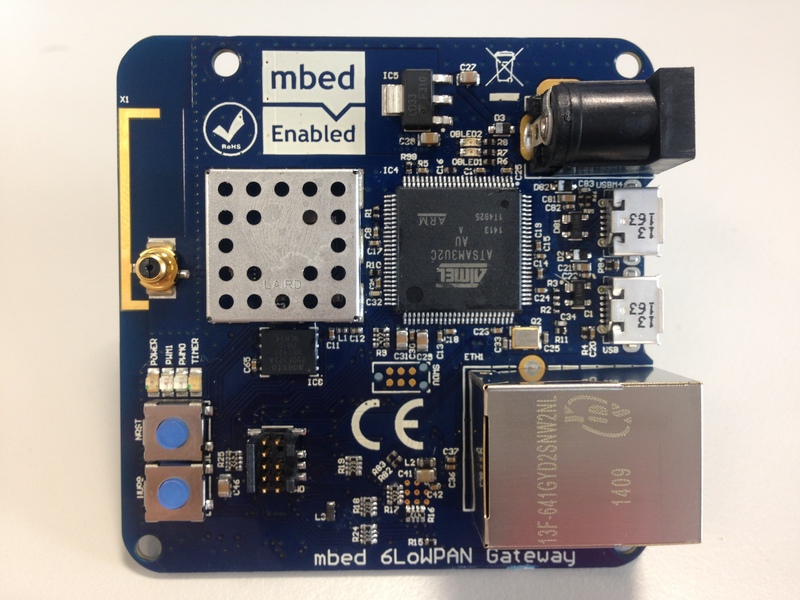 An open-source Wi-Fi library will also be available to enable users to write sketches that connect to the Internet using the shield. The newly-unveiled shield connects to an Arduino board using long wire-wrap headers which extend through the shield, thus keeping the pin layout intact and allows other shields to be stacked on top. For those heading to World Maker Faire New York, swing by booth #EP24 to get a firsthand look at the Wi-Fi Shield 101. Additionally, Arduino and Atmel will be hosting a Meet & Greet to discuss this jointly-developed shield on Friday, September 19 from 6:30 – 8:30pm ET at NY Hall of Science. Arduino’s Massimo Banzi and Atmel’s Reza Kazerounian will be speaking at this event and a number of innovative Maker demos will also be showcased. To attend, please RSVP to pr@atmel.com. Since 2005, a worldwide community of Makers has gathered around this open source platform. And, Atmel microcontrollers were there from the outset, providing simple but powerful microcontrollers (MCUs) as the hardware side of the equation. Artists, designers, inventors, engineers, musicians and students alike have turned to Arduino boards — designed around Atmel AVR or Atmel ARM-based MCUs — to bring their ideas to life. By delivering a unique combination of performance, power efficiency and design flexibility, Atmel MCUs perfectly complement Arduino and the needs of makers. More importantly, they come virtually pre-integrated the peripherals needed to sense and control the physical world. 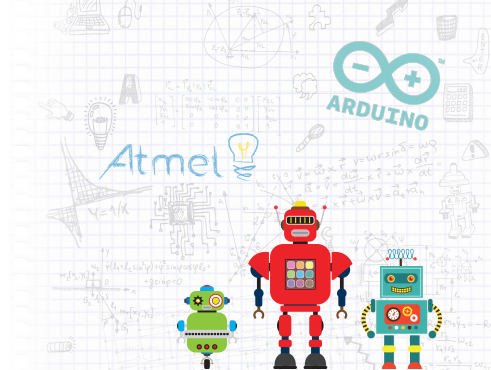 Atmel MCUs and Arduino—the original duo at the heart of the global maker movement. The just-announced shield will provide secure Wi-Fi connectivity for all Arduino platforms, thereby enabling unlimited possibilities for smart, connected IoT devices. This entry was posted in Arduino, Events, IoT, Maker Movement, Product News, Security and tagged 2014 World Maker Faire, Arduino, Arduino Internet of Things, Arduino R3 Board, Arduino Wi-Fi, Arduino Wi-Fi Shield, Atmel, CryptoAuthentication, Internet of Things, IoT Prototyping, Maker Faire, Maker Faire New York, Maker Movement, SmartConnect, Wi-Fi Shield, Wireless Arduino, World Maker Faire on September 19, 2014 by The Atmel Team. Atmel today announced a definitive agreement to acquire Newport Media, Inc., a leading provider of high performance low power Wi-Fi and Bluetooth solutions, that will enable Atmel to offer designers and Makers the industry’s most complete wireless portfolio of smart, connected devices for the Internet of Things (IoT). Expanding Atmel’s already broad SmartConnect™ wireless portfolio, NMI’s 802.11n Wi-Fi and Bluetooth certified products offer innovative, highly integrated solutions that will accelerate seamless communication and connectivity for the Internet of Things. NMI’s products combined with Atmel’s ultra-low power microcontrollers (MCUs) are designed for a broad spectrum of applications including industrial, home and building automation, and consumer products requiring smaller form factors and longer battery life. Analysts at IDC recently confirmed the arrival of a connected future as the worldwide market for IoT solutions is expected to increase from $1.9 trillion in 2013 to a staggering $7.1 trillion in 2020. As we’ve previously discussed on Bits & Pieces, Atmel is well-positioned to benefit from the rapidly evolving Internet of Things. According to Oppenheimer & Co. analyst Andrew Uerkwitz, Atmel is one of a handful of companies that makes MCUs that will increasingly be in demand, with today’s announcement further bolstering its leadership position in the IoT market. Interested in learning more about the IoT? You’ll want to check out our extensive Bits & Pieces IoT article archive here. 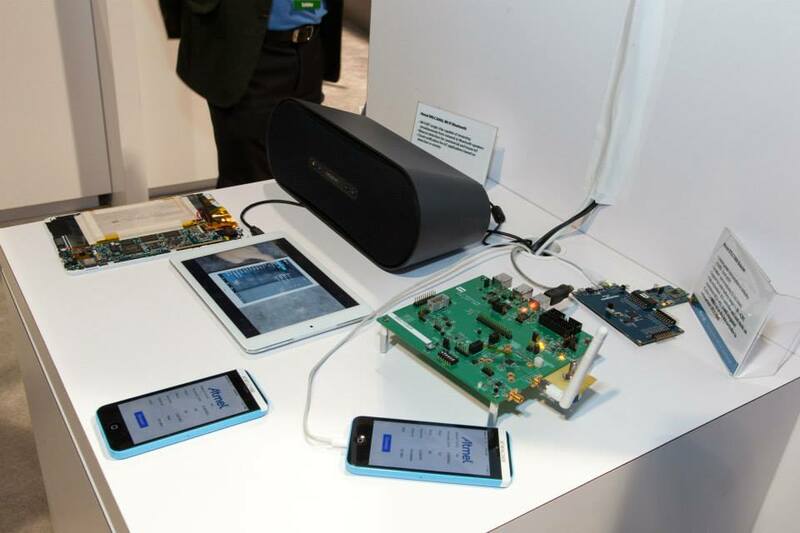 This entry was posted in IoT, Product News and tagged 802.11, Atmel, Internet of Things, IoT, Newport Media Inc., SmartConnect, tag2, wireless on July 7, 2014 by The Atmel Team.